2069 - Photo: Arthur Usher. 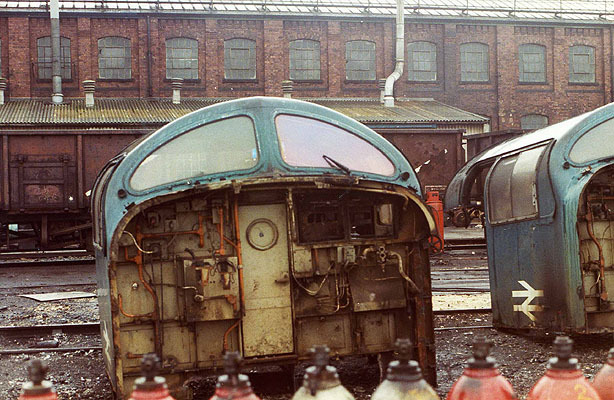 2068 - Photo: Arthur Usher. 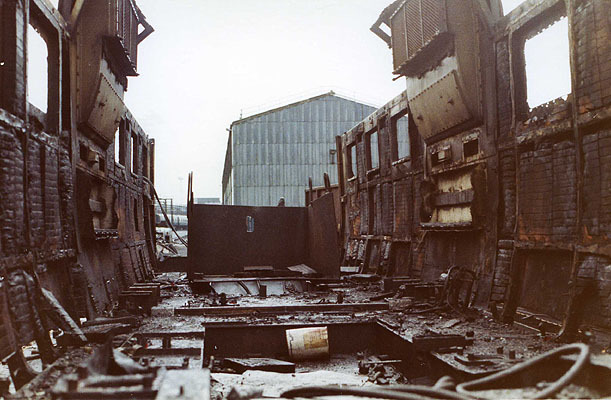 ...Into the belly of the beast: the rusted hulk of 55013, showing an oil sump to one of its power units closest to the camera, awaits scrapping during December 1982 at BREL Doncaster Works.